Rothe House Museum and Garden, is the only example of an early 17th century Tudor merchant’s townhouse in Ireland with intact burgage plot, built between 1594 and 1610. The property comprises three houses, three enclosed courtyards and a large garden to the rear. To accommodate his growing family, on this long, narrow plot John Rothe Fitzpiers built three houses, one behind the other, with cobbled courtyards in between. To the rear is a garden that runs all the way back to the medieval City Wall. The restored garden at Rothe House is a recreation of the Rothe family garden as it would have appeared in the early 17th century and is the only urban garden of this period which is open to the public. Archaeological excavations in 2008 uncovered the original layout of the garden and even the seeds and pollen of the plants that were grown here. 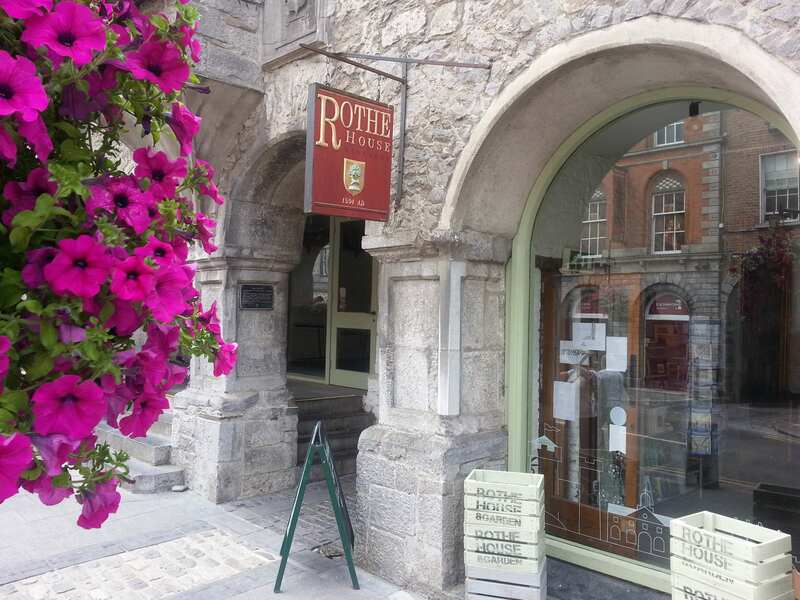 Rothe House is also the Family History Centre for Kilkenny city and county with over 200,000 records available to the public where you can research your Kilkenny family history.